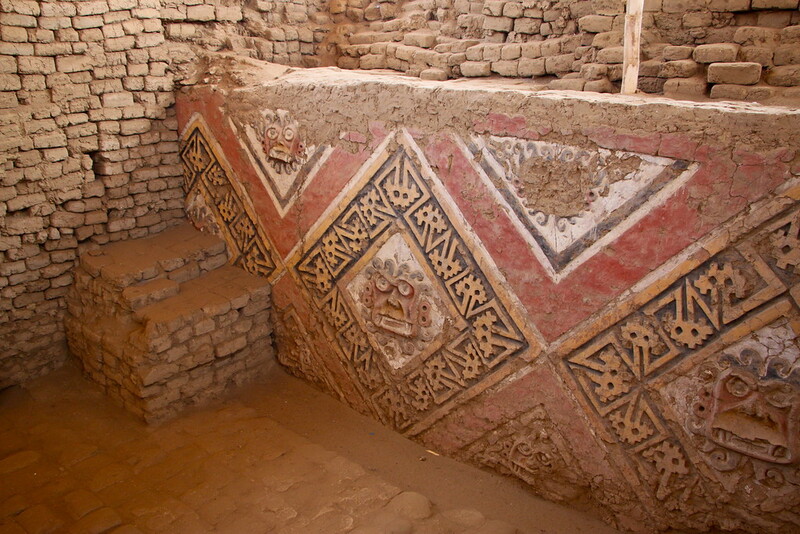 Excavating The Pyramids of the Sun & Moon, And Finding Moche Art! Heading north from Lima, bound for the coastal town of Mancora, we broke the monotony of dusty roads with a brief break in Trujillo, a small city in La Libertad region of Northern Peru. After our experience of trekking to Machu Pichu, and driving through the Nazca lines in Southern Peru, we’d become a little obsessed with learning more about the history of Peru, and in particular the civilisations that came before the famous Incas! 5km outside the city lies the ruins of the Pyramids of the Sun & Moon, a pre Incan city built by the Chimor civilization, formed from the Moche civilisation. With the sun beating down on us, we made the journey to see the once imperial capital where over 30,000 people lived. Arriving at the site, the scale and intricacy of the settlement isn’t immediately apparent, as much of the ruins remain underground as it is slowly excavated. Making your way round to the only entrance of the site, the scale becomes apparent. Despite being attacked by the desert over hundreds of years, the intricate carvings and relics of the main wall were still remarkably clear and vivid. 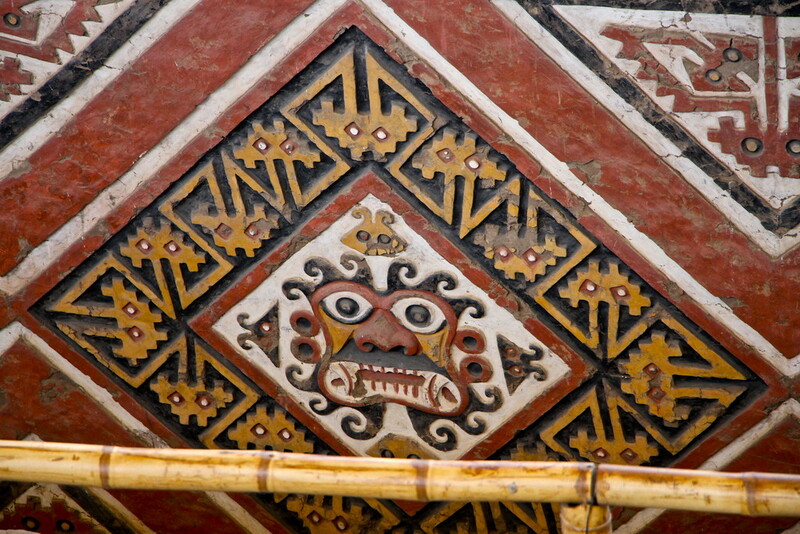 Moving inside, the Moche culture carvings became even more impressive. 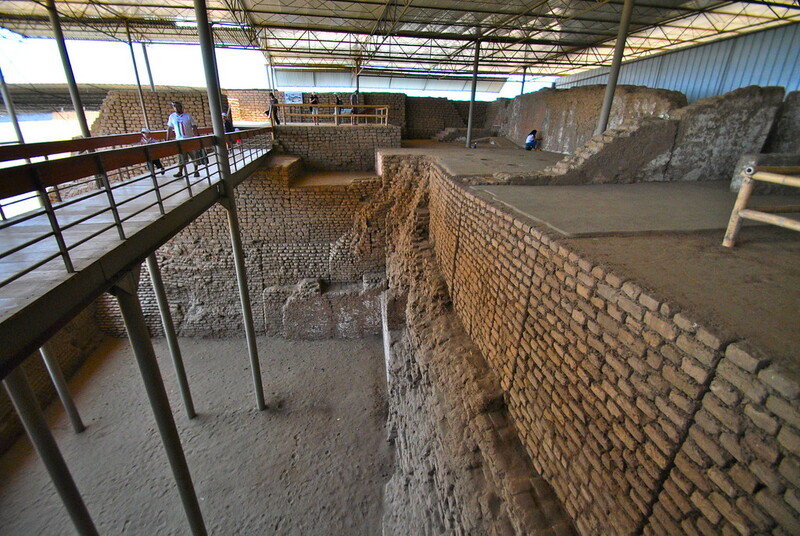 The most intriguing part of these ruins, and the reason why it is taking so long to excavate, is that the Chimor built five iterations of the complex, each one on top of the previous, essentially filling in the previous temple with bricks, before building the new one. 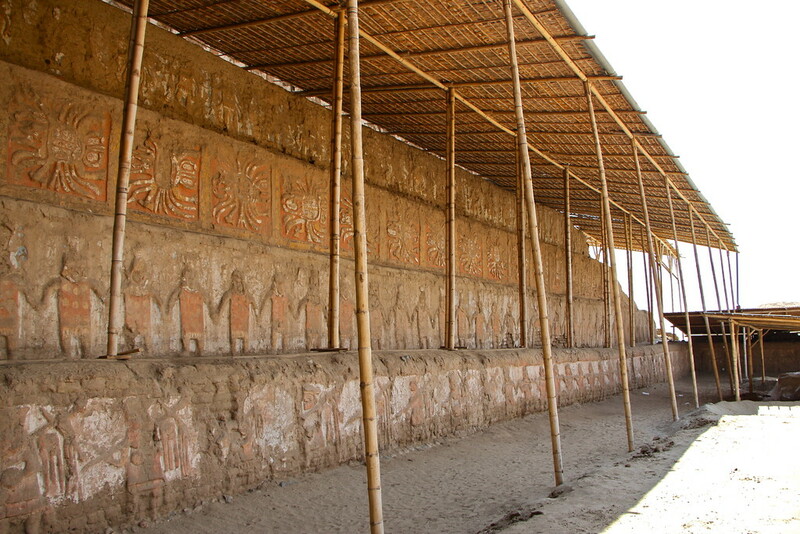 As the site is slowly excavated, new reliefs and designs are revealed once again. 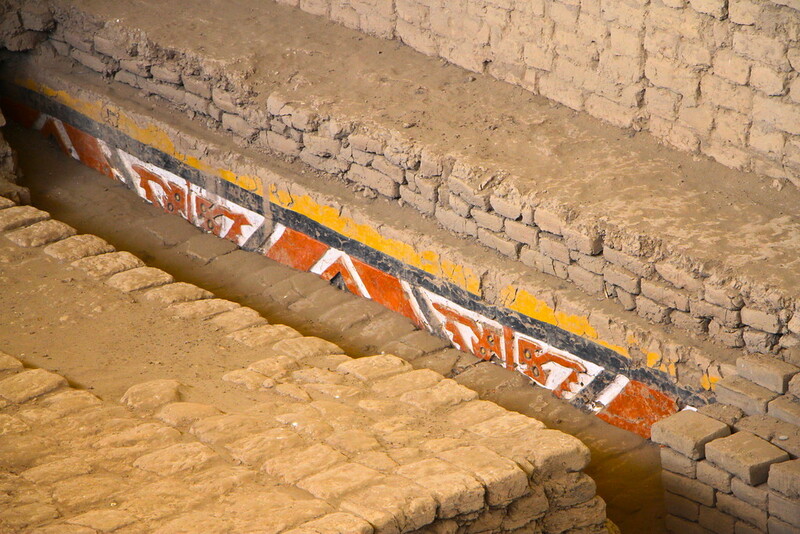 Each relief is slightly different, enabling the archaeologists to determine how many times the site had been rebuilt, with some layers of Moche art still tantalisingly hidden. It was exciting for us to see a ruin as it’s being excavated, before it becomes famous. 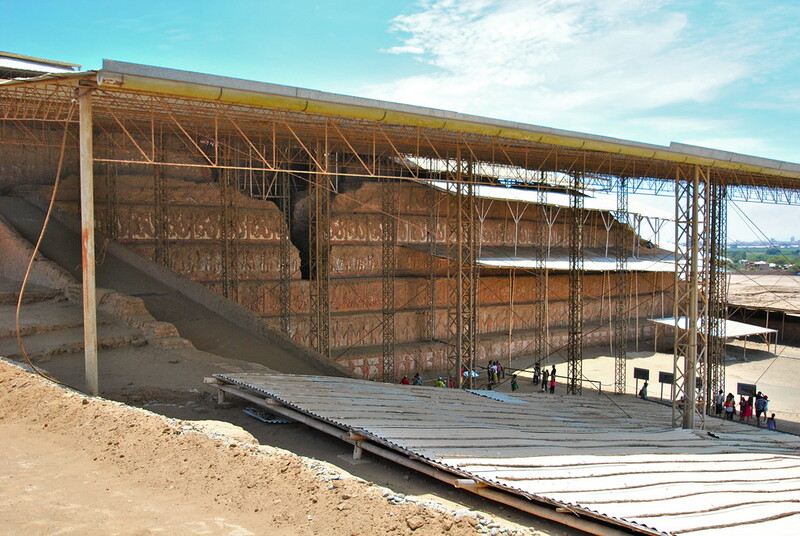 We have no doubt once the site is fully excavated, it will be an exciting draw to the North of Peru. 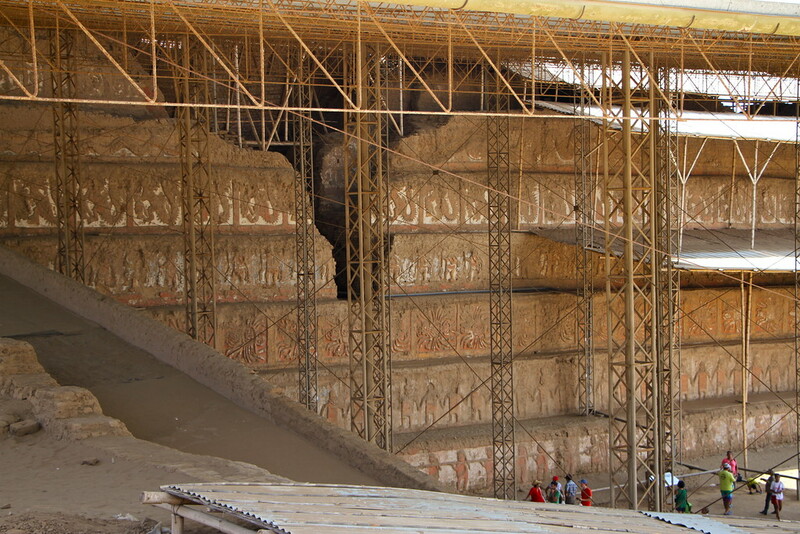 The scale of the site and the intricacy of the reliefs is worth the dusty bus ride north, particularly if you are travelling into Ecuador from Peru! 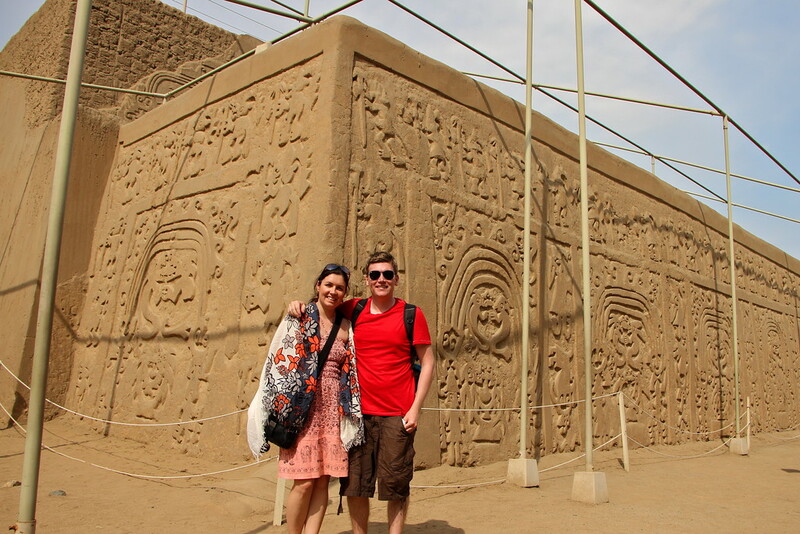 If you ever find yourself travelling through Northern Peru, a stop off in Trujillo to break the long journey can be rewarding if you visit these ruins, alongside the Chan Chan ruins and La Huaca del Dragon complex nearby. Looking for more Peru inspiration? Click here. As an avid photographer and videographer, Barry spends his travels searching out new beers and soups to tickle his taste buds with. His ultimate goal is to find a soup made of beer. Usually found telling rubbish jokes at unsuspecting passers by. Hey there traveller! We’re Barry & Laura, two travel addicts who love to get out and see the world. We’ve been on some epic adventures, so join us and begin planning your own adventure of a lifetime!